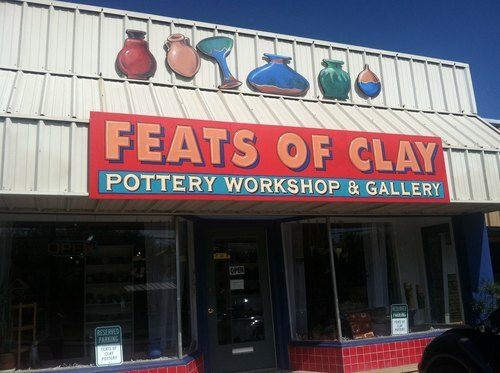 Herrin completed an internship with Feats of Clay under the direction of Judy Conroy, owner, during the summer of 2016 and was invited to join the studio. Herrin began teaching six week ceramic courses in the studio at Feat of Clay in Feb 2017. Class Schedule is listed below. Call the studio or stop by to reserve your spot! Classes are held once a week, 2 1/2 hour sessions and include instruction, 25# clay, glazing and kiln firings. A starter pottery tool kit is additional and can be purchased in our studio or at Jerry's Artarama. OPEN Nov 6-Dec 11, 2017 Monday afternoons 1:00pm-3:30pm 6 week class Handbuilding and wheelthrowing! CLOSED Sept 25-Oct 30, 2017 Monday afternoons 1:00pm-3:30pm 6 week class Handbuilding and/or wheelthrowing!